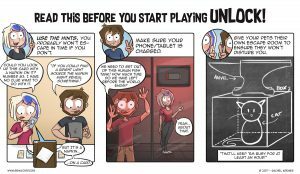 UNLOCK! is an escape room experience in a (non-destructive) card game accompanied by an app for your phone or tablet! Will you and your friends solve all the puzzles before time runs out?